How can you describe an area that in ancient times was referred to as “the navel of the earth”? This already is enough to demonstrate the importance of Delphi, and, consequently, of Phocis, where lies the archaeological site of the Oracle of Delphi, famous around the world and through the depths of history. The Archaeological Museum of Delphi is listed among the best museums worldwide and is one of the reasons that people from all the corners of the world choose Delphi as their destination. 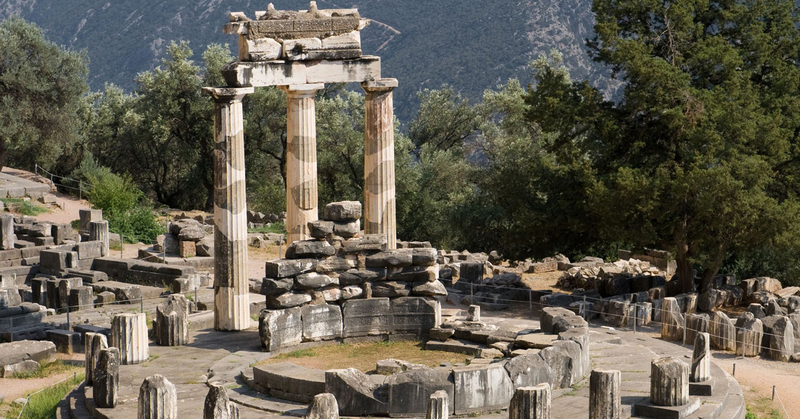 Delphi is surrounded by sites of unique natural beauty, Amfissa, Itea, Galaxidi, Gravia, Lidoriki, Evpalio and Eratini – the towns of Phocis, encircled by four of the greatest mountains of Greece. Beautiful Parnassos with the exclusive Ski Resort and National Park, wild Gkiona, the mountain of the fairies – Oiti, and Vardoussia, all surround the capital of Phocis, Amfissa, with its historical Castle and Charmaina, the district of legends and spirits. Picturesque villages, hiding in lush greenery, and preserving their centuries-old traditions and customs, while the coast of the region is as charming as the mountains. Itea, as well as the majestic Galaxidi, the “island of the mainland”, offer the visitors of Phocis what few destinations can: namely, an unbeatable combination of mountain and sea, of modern tourism and archeological sites. Visit Phocis and get acquainted with one of the greatest areas of the ancient Greek civilization, that kept its historical significance throughout the ages and played an important role in every major moment of Greek culture and history. A journey through Phocis will convince you that this is a region of outstanding natural beauty!